Biotium’s DNA Gel Extraction Kit is a silica-gel spin column based DNA extraction kit designed to purify 40 bp-40 kb DNA fragments from agarose gels in TAE or TBE buffer. Each column has a maximum binding capacity of 10 ug DNA. 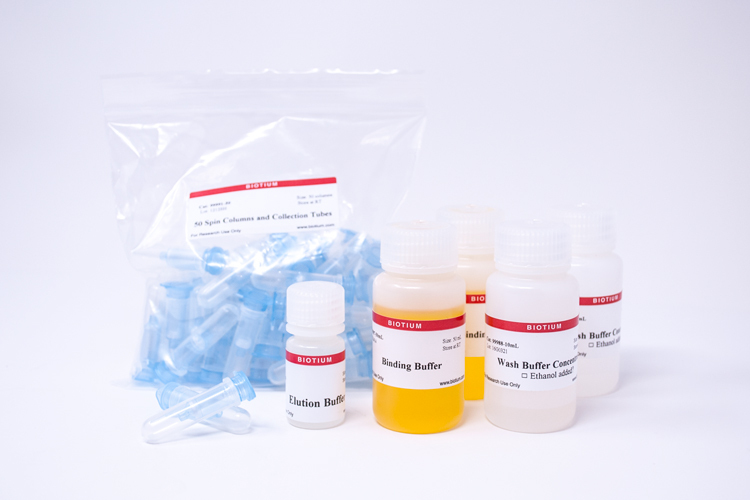 Biotium’s DNA Gel Extraction Kit removes GelRed® and GelGreen® Nucleic Acid Gel Stains, along with other commonly used nucleic acid gel stains. The purified DNA is compatible with common downstream applications such as transformation, sequencing, PCR, and restriction digests.